With its importance to three of the world’s main faiths and its deep history, Jerusalem is a city that many know about. In fact, you probably think you know a lot about the city, so much so that there couldn’t possibly be more to learn. Because of its significant history and rich culture, there is always more to learn. In fact, you’d probably be surprised by how much you don’t know and some of the more interesting quirks about the city. Here at World Express Travel, we love the country of Israel and are constantly impressed by Jerusalem each time any of our staff members are able to travel there. We always learn something new. 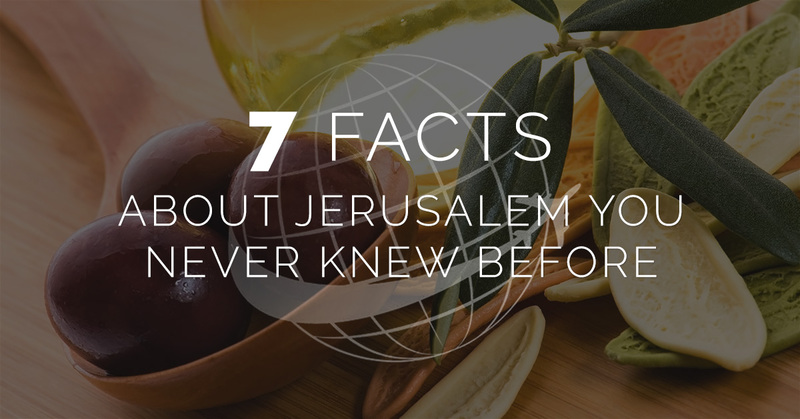 To help share this unique city with you and encourage you to book your trip for Jerusalem, keep reading for seven facts about the city we bet that you didn’t know before. Jerusalem has over 2,000 archaeological sites. Over 50 square miles, 2,000 important archaeological sites is extraordinary. This total doesn’t even begin to look at the combined number of archaeological sites across the city that don’t merit being called “important.” These sites provide a look into history that can’t be found anywhere else in the world. You can find 26 wineries in Jerusalem. If you love food and wine, you won’t be let down by the wineries in Jerusalem. With 26 to choose from, you will probably be impressed that such decadent wine grows in the desert. If you love wine, make an afternoon of wine tasting to find your favorite. Settlements in the Jerusalem area date back to 4500 BCE. While the city of Jerusalem wasn’t actually founded until 1010 BCE as the City of David, civilization in the area dates back much further. There is evidence to suggest that settlements in the area date back as far as 4500 BCE, which is truly astounding. Jerusalem is a fully walled city. Since the early history of Jerusalem, it’s been a walled city for protection. This has continued to this day in order to maintain its unique, historic value. The walls surrounding Jerusalem are over 2.5 miles long, over 40 feet tall, and eight feet thick. Along the wall, you can also find 34 watchtowers and seven gates that allow the passage of traffic in and out of the city. The Mount of Olives is the oldest known burial site in the world. The Mount of Olives is to this day the oldest continually used burial site in the world and is the resting place for over 150,000 Jews. This location continues to be used and has been in use since roughly 1500 CE. Some olive trees in Jerusalem are over 800 years old. What’s probably most impressive about the fact that there are 800 year old olive trees still standing within Jerusalem, which has been conquered more than 40 times with over 100 major battles taking place in known history. The olive branch is also one of several symbols on the Jerusalem flag. Not only is Jerusalem known for its religious significance, but also for dinosaur tracks. We all know that Jerusalem is a significant city for Jews, Christians, and Muslims, but it’s also well known for the dinosaur tracks that were discovered outside the city in 1962. The paleontologist, Moshav Beit Zayit, who discovered the footprints uncovered over 200 tracks of significant importance to the study of dinosaurs. When you’re ready to discover the rich history, splendor, and culture of Jerusalem, book your trip to Israel with World Express Travel. We’re the right travel agency to help you plan the perfect trip that will provide you with memories for a lifetime.